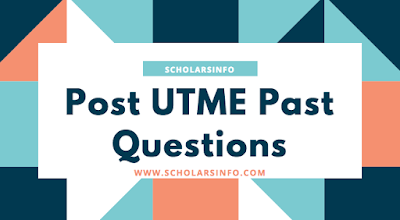 Welcome to UNIPORT post UTME past questions and Answers web page and thank you for making the decision to purchase the University of Port Harcourt post UTME Past Questions and Answers. This will go a long way in improving your UTME examination preparatory skill: you will understand the pattern of the aptitude test exams and how it is conducted in UNIPORT. Most of these questions in the past questions sometimes do repeat itself in subsequent years. As a matter of fact, UNIPORT admission is strictly based on merit and you are expected to score your post UTME as high as possible as the admission placement is usually very competitive. We have all UNIPORT Post UTME Past Questions and Answers in soft downloadable copies and are available on request only. Some of these questions are available as free copies but the downside to it being free is that they are incomplete. These past questions and answers you are about to purchase is very comprehensive and covers up to 5 years. It was painstakingly collated from University of Port Harcourt and typed to enable students who live far from city of Port Harcourt to get the soft copy of the preparatory material. When is 2017 UNIPORT post UTME date, What is the price of UNIPORT post UTME registration for examination, What is University of porthacourt UTME cut off marks, What is the nature of UNIPORT post UTME, The Closing date for UNIPORT post UTME and most of all how to download Uniport post utme past questions and answers? What Is UNIPORT UTME Cut Off Marks? The simple answer to this is that, for 2017/2018 academic session, UNIPORT post UTME cut off mark is probably going to be pegged between 180 and 200+ depending on the course you intend to study. However, don't confuse the UNIPORT JAMB Cut off Mark with UNIPORT Post UTME cut off mark. The former is set by JAMB UTME while the latter is set by the University. Once Uniport announces their post UTME screening date and registration, they'll also announce the UNIPORT post UTME closing date. So you will see the date during the registration process. What Is The Nature Of UNIPORT Post UTME Questions? Knowing this will prepare your mind towards what you are to expect in the UNIPORT post UTME examination. Let me also inform you that UNIPORT post UTME is always a CBT (computer based test). It's usually your subject combination of your JAMB (the subjects you took during JAMB UTME). If you took Mathematics, English, Physics and Biology in JAMB, then, you should expect those same subjects during UNIPORT Post UTME. The numbers of questions in UNIPORT Post UTME is usually 50 questions and you are expected to answer them within 30 minutes. So mind you, you actually have a very short period of time write your exam. Start Preparing for your UNIPORT post UTME on time, remember, it was not raining when Noah built the ARK. 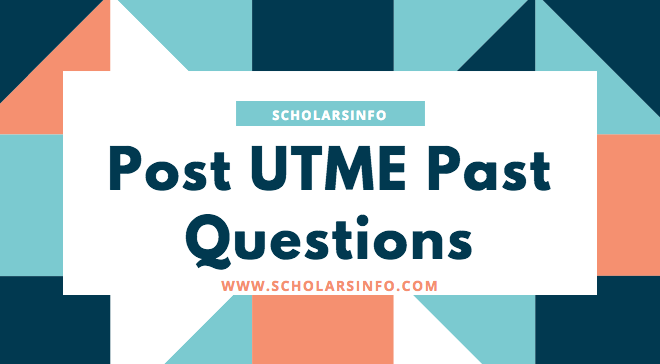 Where and How to Can I Get Post UTME Exam Past Questions and Answers of University of Port Harcourt? As we earlier said, we have the soft copies of the post UTME exam past questions and answers of all courses offered in University of Port Harcourt (UNIPORT). UNIPORT is known for repeating old questions, hence it is highly recommended that you order for your own copy now to enable you prepare adequately for the forth coming post UTME exam. There's really no need to waste your time in studying irrelevant materials that will never appear in the actual Post UTME exam of the University of Port Harcourt (UNIPORT). All you need to pass the Post UTME exam is to grab this past questions and study everything in it. Luckily for you - - you don't have to stress, we have answers to each questions. Once again, the price for UNIPORT post UTME examination past questions and answers is one thousand naira (N1,000) only. Please help us and share this post to other UNIPORT aspirants because delay is dangerous. Remember, it was not raining when Noah built the ARK.